Photo: East and West Mitten, and Merrick Butte; the view from our hotel room. Eastern Mojave Vegetation East and West Mitten, and Merrick Butte; the view from our hotel room. US Highway 163, Arizona and Utah. : in Monument Valley. 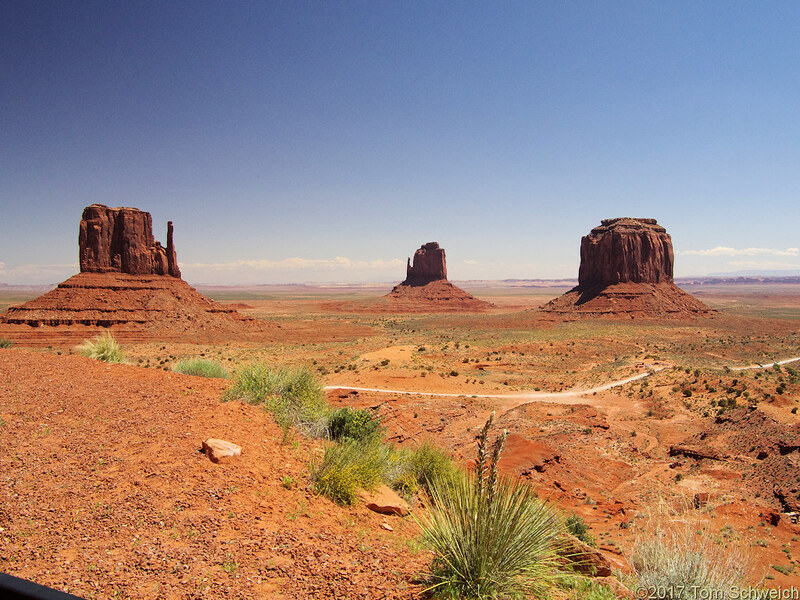 Other photos about Geography - Arizona or Monument Valley.